…Is that the waves of infantry should be neverending! 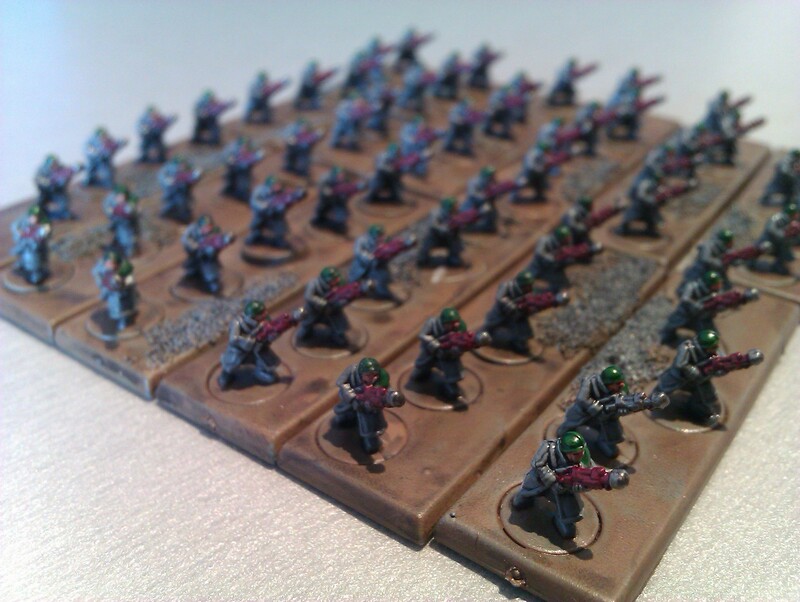 I have alot of infantry to paint. 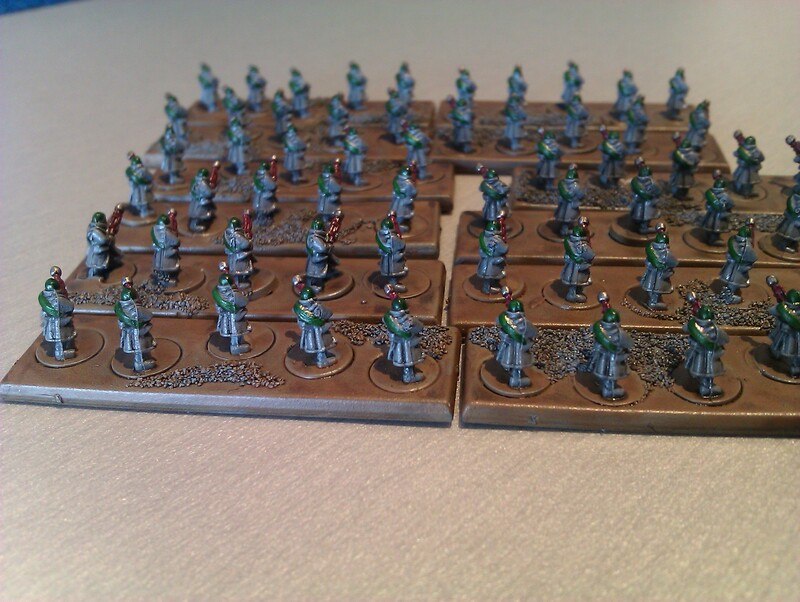 To be specific I have 150 stands of infantry to paint, something I have avoided facing for far too long. In low times I have been tempted to just run a complete armoured force (either Minervans or Ulani), but then the mad WW1 general inside kicks back and I find myself playing Baran Siegemasters. From now on I’ll be trying to paint a batch of 12 – about as many as I can face doing at one time – between each of the other interesting things. 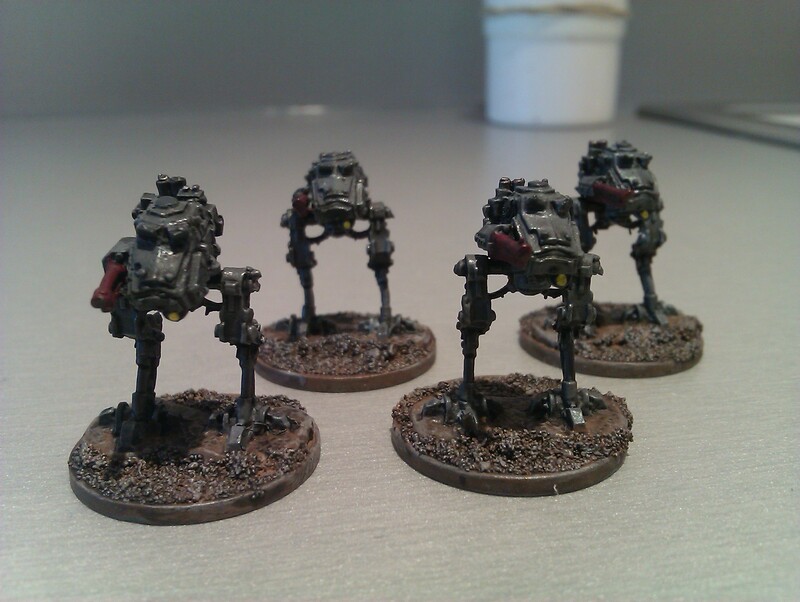 I went for a super simple paint scheme on these guys. 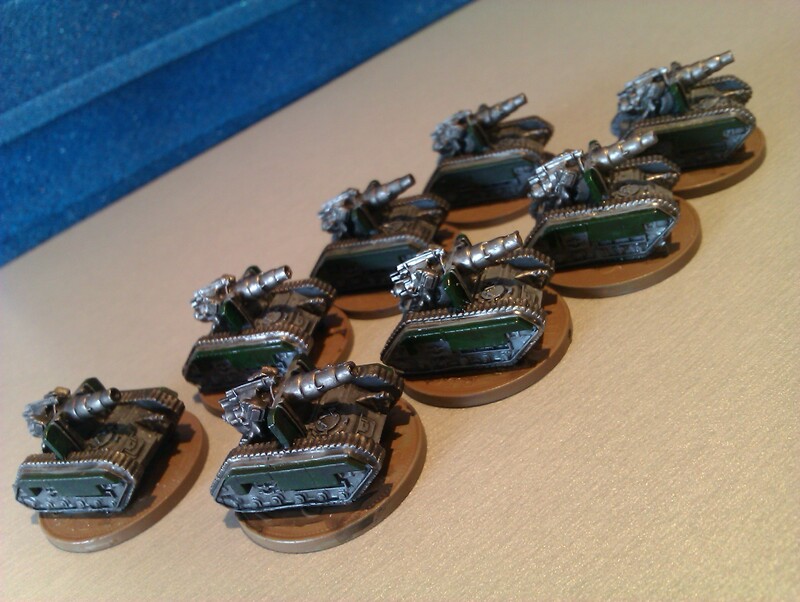 Havign been sprayed Army Painter Uniform Gray like the tanks, I then picked ou the helmets and sashes with some Dark Angels green and the weapons with some Gore red. 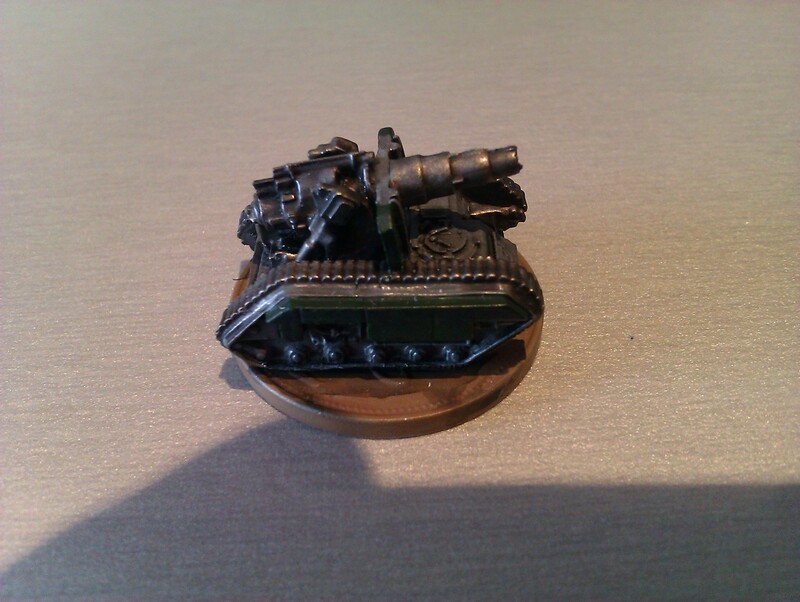 A dab of Boltgun Metal on the end of the lasguns and a Badab Black wash rounded them off. As you have probably already noticed I am not a great painter – aiming for battle ready rather than masterpiece – and I try and keep all my miniature paintjobs even on 28mm down to less than 10 colours. 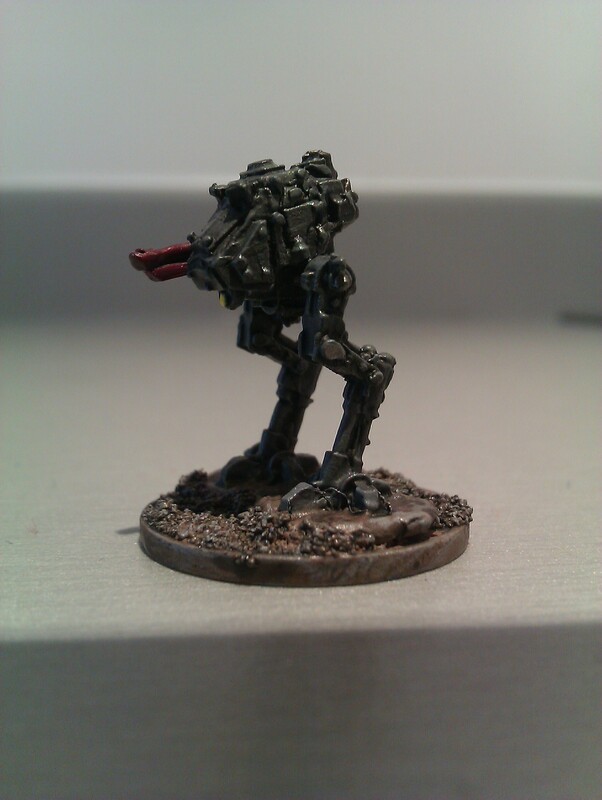 In Epic the scale of 6mm and the majesty of a fully-painted army often hide my painting shame! Note I have tried to pick out the searchlights on these in the same way as I have done on my Griffon Mortars futher down the page. The Badab Black wash went on the metal Sentinels much better than it did on the resin Medusas, something I will have to watch for in future.